Price adjustment! Call or Text Listing Agent - Pattie Parrett- The Real Estate Center of Spearfish - 605-6445-1809 for more information. Country living close to town! Bring your horses and enjoy this peaceful little paradise with amazing views and plenty of room to roam. Watch the sun rise over Lookout Mountain from your back deck and see the sun set behind Crow Peak from your front deck. 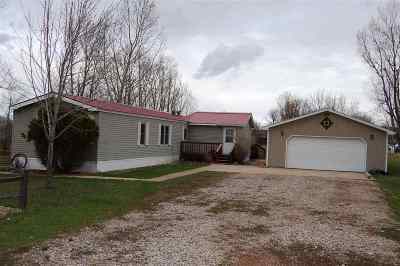 There is a 12X14 3-season porch, a 14X24 heated and air-conditioned shop attached to the to the 2-stall over sized garage and many updates to the home including newer carpets, some new windows, new hot water heater and water softener. The large master suite has an updated bathroom and walk-in closet. Need storage? The 12X20 shed offers plenty of space for all your extras. This home has its own well and is connected to the Spearfish Valley Sewer District. Financing is available through Sundance State Bank. Buyer is responsible for verifying all information on this MLS document.